Changing a furnace filter is perhaps the quickest and easiest way to maximize the efficiency of your heating system—and to help purify your home’s air. Doing so is easier than you think. The procedure should take all of five or ten minutes. Likely the most-time consuming part of this project will be finding what size filter you need, and running to the store to purchase a replacement. To prevent the HVAC unit from turning on while you are changing the filter, make sure you turn the thermostat to the “off” position. This will help protect your HVAC system from loose debris or maybe a loose filter fitting escaping into the duct. For maximum safety, disconnect power from your furnace system while you are doing maintenance. Where is my air filter located? Here are two suggestions to answer this vexing question. First, refer to the manual that came with your heating and cooling system. This manual should tell you what kind and size of a filter is recommended for your heating and cooling system. If you don't have your unit's operation manual, most air filters are located in either the blower compartment of the furnace (remove the furnace cover, typically by lifting up), or built into the metal ductwork before the blower fan. Some of these systems come with filters that can be hosed off or rinsed in the sink or bathtub. Others use fiberglass filters that can't be reused. These filters are easily found at hardware, home improvement and even grocery stores. Check if your furnace manual gives you the size of the air filter to buy. If it doesn't, partially remove the existing filter and look for its dimensions, usually printed on the cardboard filter frame. If you cannot locate this information, use a measuring tape or ruler to measure the dimensions for height, width and thickness. For example, the filter pictured to the left are 16-x-25-x-4. In other words, 16 inches wide; 25 inches long and 4 inches thick. Write these dimensions down on a piece of paper to take with you when you go to the store to buy the new filter. It’s also a good idea to write them with a permanent marker on the actual furnace housing or ductwork to ease this process next time. While the physical dimensions of the filter’s width and length (e.g., 16-x-25) are preset according to the size of your ductwork, sometimes you can add additional cleaning power by purchasing additional filter depth. For example your ductwork might allow you to purchase a 16x25x5 filter – that additional inch of filter capacity can go a long way to making the air you breathe cleaner. Before you remove your existing air filter, note the arrow on the filter frame that shows the correct air flow direction. You will want to install the new filter in the same direction as the old one. The “air-flow direction arrow” printed on the new filter should be pointed towards your furnace (or more specifically; arrow pointed towards your furnace fan unit). Pull the old filter out and place it directly into a garbage bag to avoid scattering the dust around. Every HVAC filter has a MERV rating, which measures how efficiently the filter captures pollutants that pass through your heating and cooling system. MERV ratings range from 1 (least efficient) to 16 (extremely efficient). 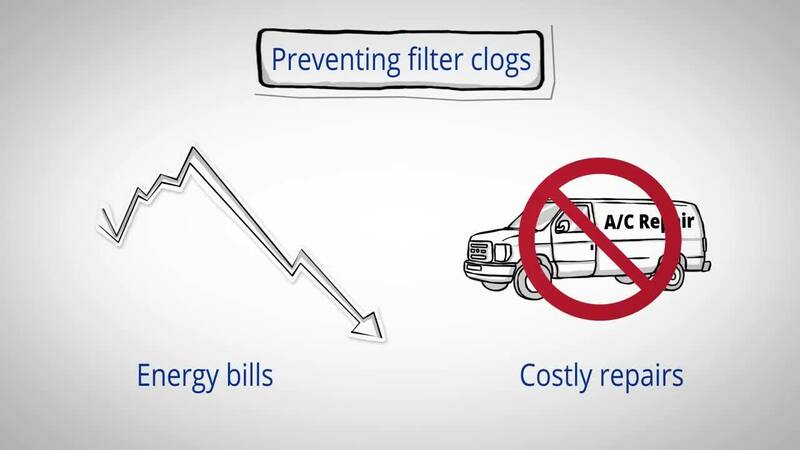 Some studies show that medium-efficiency filters — in the MERV 7 to 12 range — strike the best balance between allergen removal and filter cost. 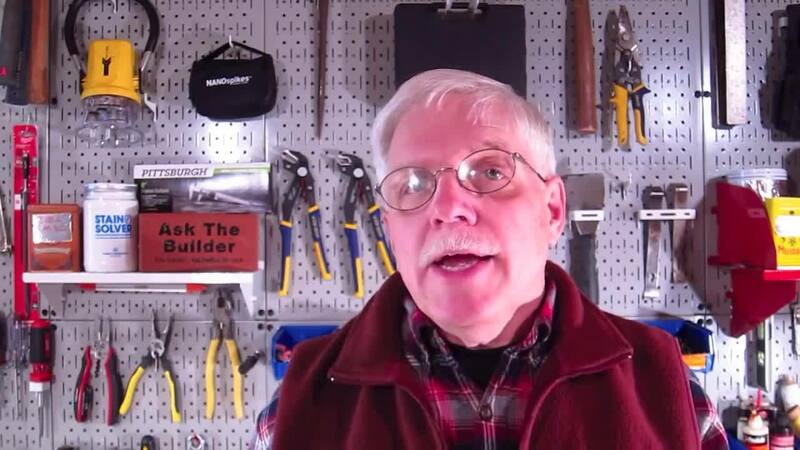 >> Be sure to check out How Effective are Your Home Air Filters? to learn more about MERV ratings. Basic furnace home air filters are designed to trap dust, dirt, and airborne particulates before they can get into the system and potentially damage the blower fan or the heating coil. More expensive filters perform the same role, plus they can enhance the air quality in your home by trapping bacteria, pollen, and mildew and mold spores. >> Learn more about some of the pollutants your filter might be capturing in this article. Again, note the arrow on the old filter frame that shows the correct air flow direction. Remove the old filter and insert the new one so that the airflow direction remains the same. Home air filters are designed to filter air from one direction, so that as they load up with dirt, they will not collapse or fall apart. It’s that simple. Make sure you turn the thermostat in the “on” position once you have replaced the filter. With your fresh filter, you are now ready to use your furnace again! Here's a helpful 5:07 minute video titled "Do it yourself, Furnace repair, Change Your Furnace Filter" that walks you through these steps. Now that you know how to change a home air filter, you might want learn more about "How often should I replace my air filter." Typically, central air conditioning and heating system filters are changed randomly or when it “feels” right, but but this can be unreliable. For this reason, products like the FILTERSCAN WiFi® monitor, which texts/emails you exactly when your home filter needs to be changed, are a worthwhile investment to save on energy costs.